Sometimes we paint ourselves into corners and then make mistakes when we try to get out. Last week we found ourselves out of hay. Well, we did have half of a bale left, but I’d say we were plum out. I drove down to the local feed store before they closed on Friday evening and bought 3 bales at $15 each (ouch! 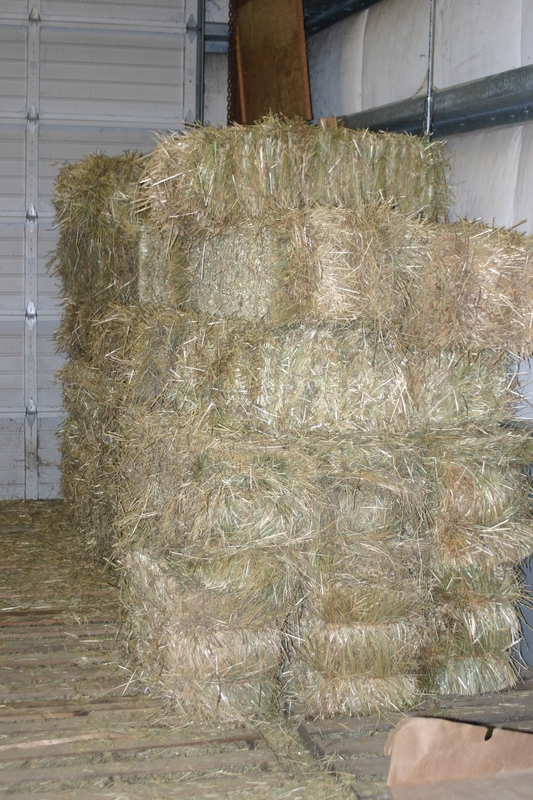 ), which would be enough to get us through the weekend when we could get more from our usual source of weed-rich prairie hay from Ellensburg, WA at $5/bale. Friday night a friend called and asked if we would go in with her on buying 50 bales from a farmer in Kent, WA for $6/bale. We joined her and our 35 hay bales showed up the next afternoon. The farmer and his son were nice enough, but the hay looked a little yellow as I helped unload the surprisingly light bales. This year was a tough one to put up hay in western WA, and the farmer agreed–he hadn’t been able to get his first cutting done until after July 4th. This year was too wet. The hay looked it too. It was coarse and looked more like straw than hay. I accepted delivery, and paid for it. That was a mistake. The animals won’t eat it because it has no food value for them. I was worried about being out of feed, and fear is a poor reason for making decisions! 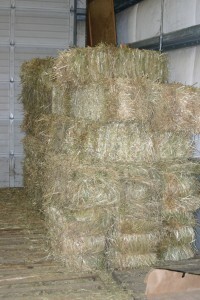 I now have it listed on Craigslist as straw for $6/bale. I’ve got 11 bales left for sale. At least I have mulch for next year’s garden. This entry was posted in Hay and tagged Cows, grass, straw. Bookmark the permalink.